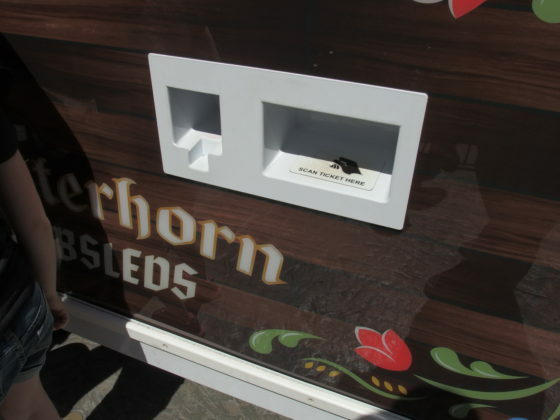 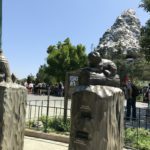 Friday, April 28th saw the official reopening of Disneyland’s iconic Matterhorn attraction, following a lengthy refurbishment. 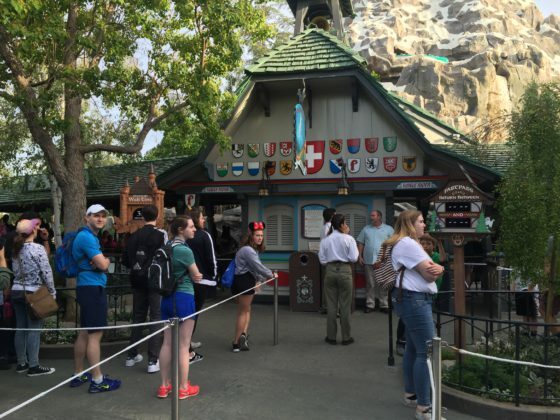 Guests in the park on the preceding Wednesday found the walls down and bobsleds available for a soft opening. 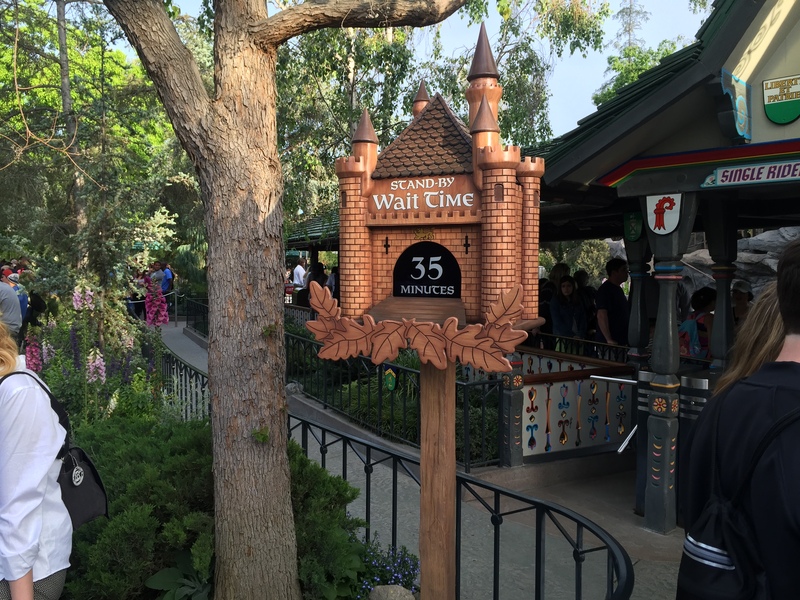 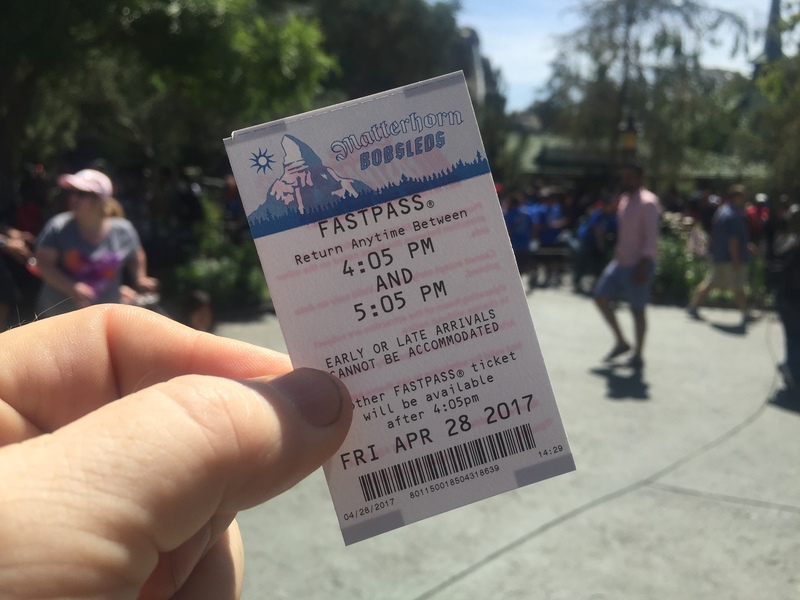 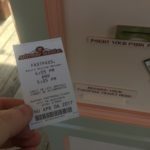 In addition, guests were also treated to Disneyland’s newest FastPass. The FastPass and Standby entrances for the Matterhorn are located directly in front of the chalet that divides the right and left lines. 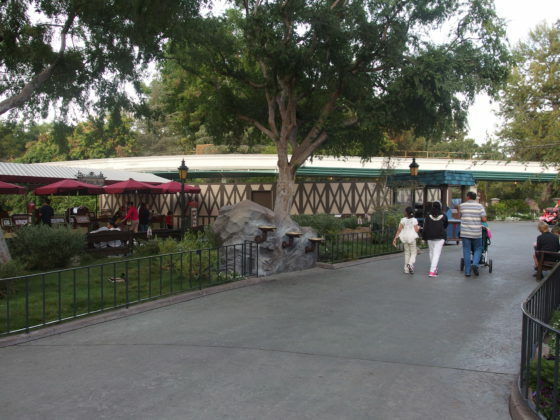 After entering their designated side, the lines merge directly in front of the chalet, and guests then choose the side they wish to ride. 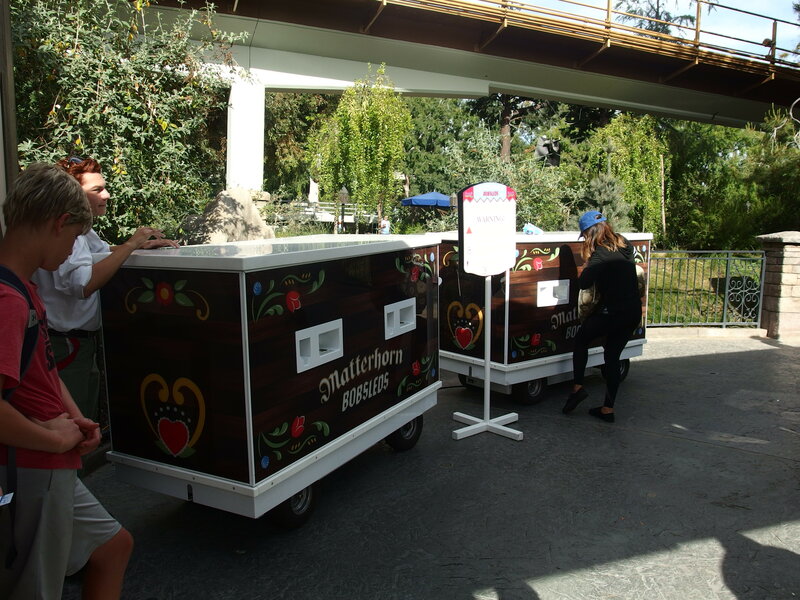 The current distribution is a pair of temporary wagons, similar to the ones used for the Hyperion Theater in Disney California Adventure. 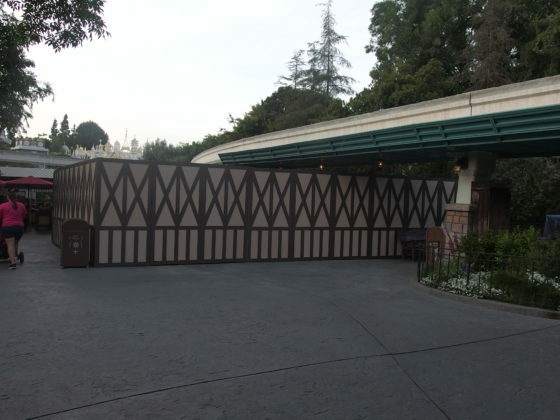 A permanent location is under construction across from the entrance, under the Monorail beam. 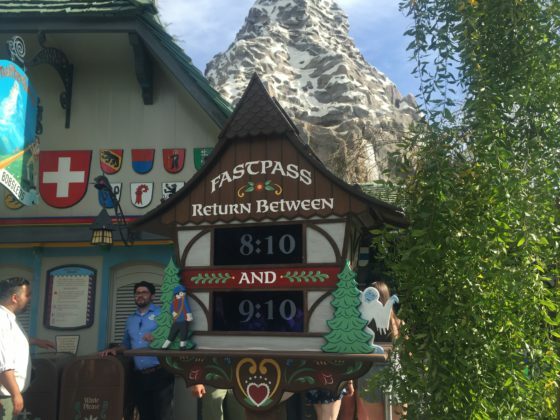 Matterhorn is the second Disneyland Resort attraction to add FastPass in recent weeks, with Toy Story Midway Mania gaining the feature earlier this month. 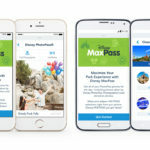 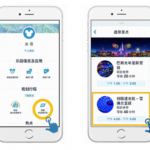 The change also comes ahead of the resort launching MaxPass, which will allow guests to book FastPasses using a smartphone app.